In a small, cosy street in the old city of Parma, north Italy, sits a young Kurdish lady – her eyes wandering through the door of her shop, looking at the people passing by. Her big, sad eyes brighten when she sings along to Fairouz and Edith Piaf. If you quickly pass by her shop, you might think it a regular shop selling beauty and skincare products; but once you enter, you find yourself in an unexpected atmosphere. 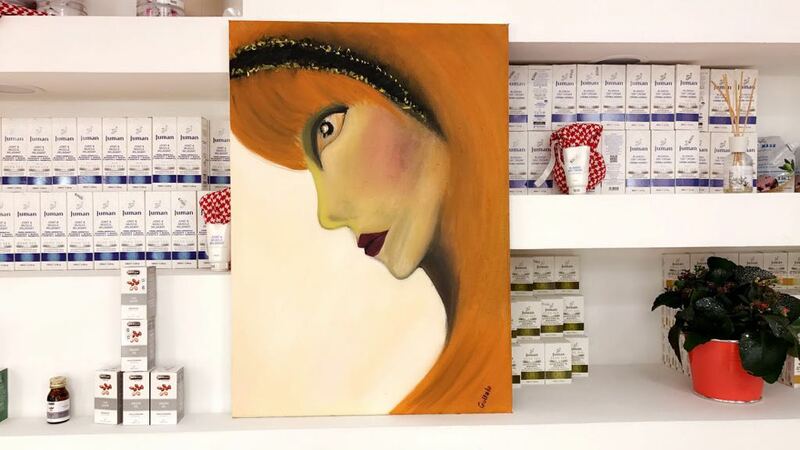 Classical Arabic songs combine with the beauty of live painting: – Gullala greets you with a big smile and offers delicious Italian coffee. 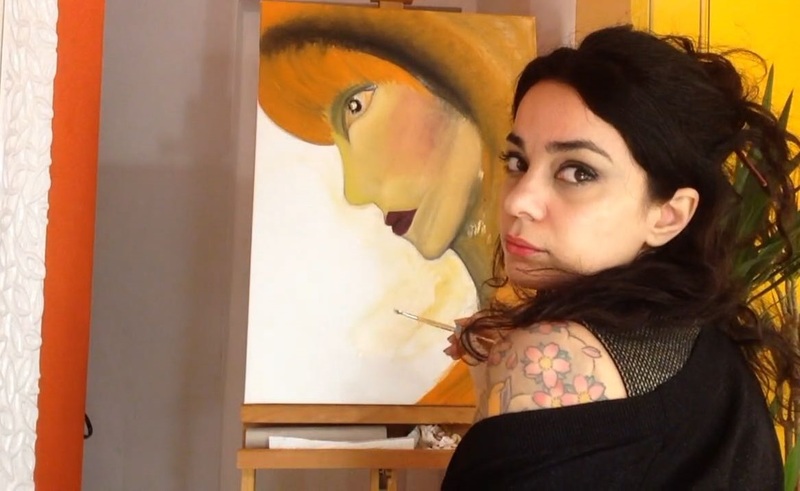 She sells, sings and paints at the same time – it’s amazing. 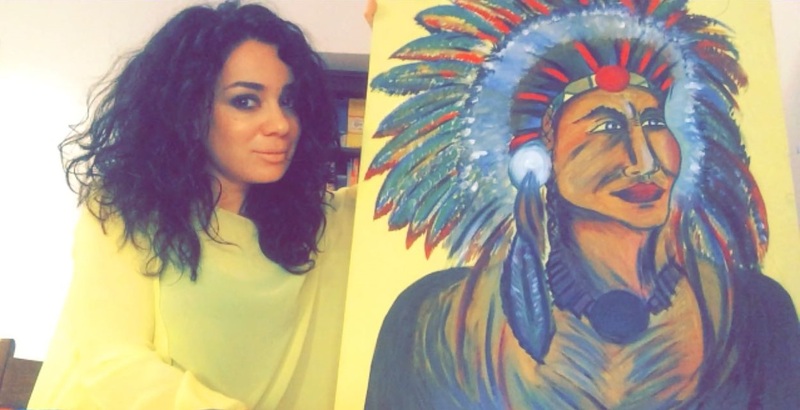 Gullala Khaburi was born and raised in Rojava, where she studied Museums and Monuments. She moved to Italy 9 years ago and has worked as a make-up artist ever since. 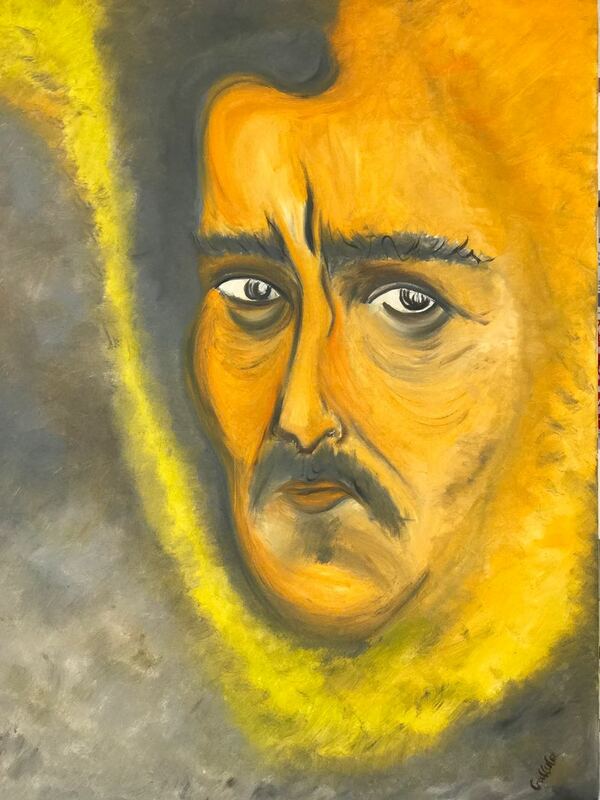 It was only last year however that the 30-year-old mother realised how much she could actually put onto a piece of paper other than a human face, when she started to paint. Since then many of her friends and family have applauded her efforts with amazement. 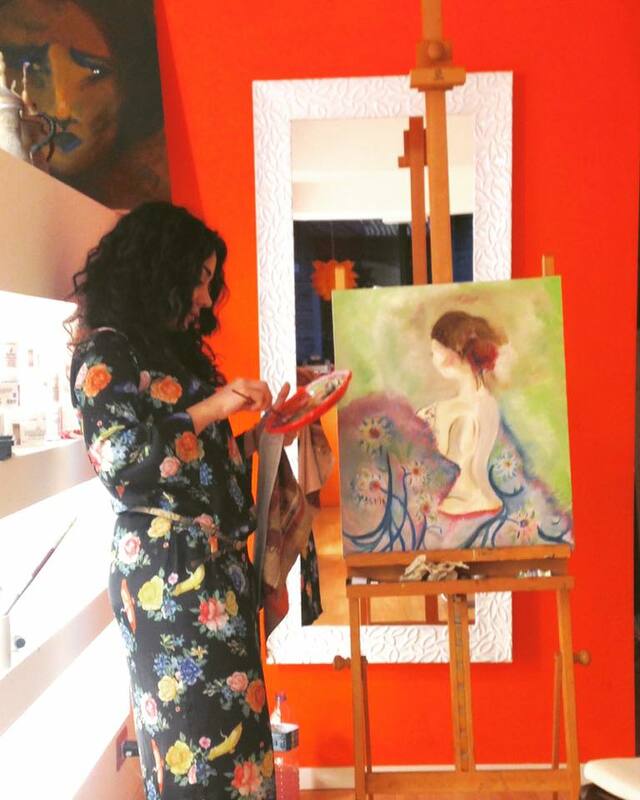 Gullala made new friends as sometimes people come to the shop and buy products after noticing her painting through the shop’s window. Now Gullala paints all day every day with no need for rest. Painting is a “rewarding activity that I cannot live without, releasing me from stress and making me feel safe,” she says, adding that it is simply a new passion that she is determined to be professional at. But what will follow? 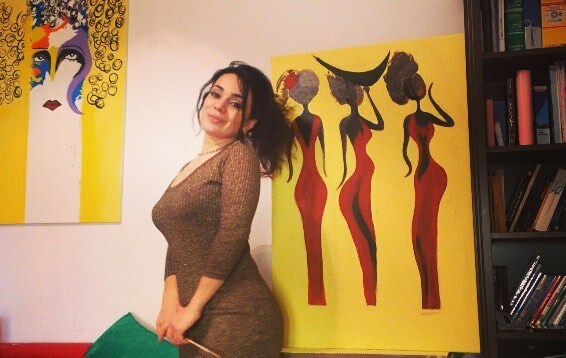 Is Gullala planning to put her paintings in an exhibition at some point? Is painting going to be a source of income? The answer is yes. 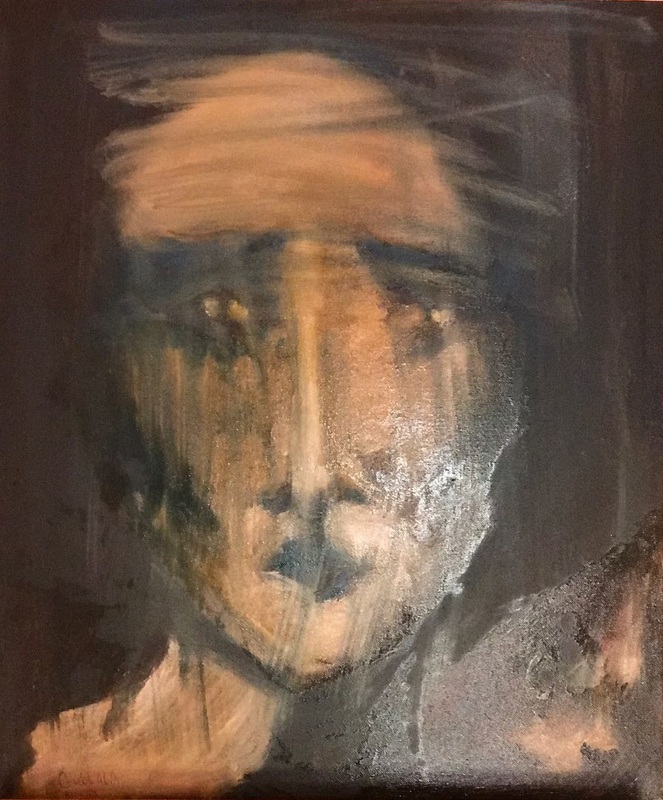 This ambitious artist is looking to open her first exhibition in Parma this September and we are all looking forward to it! 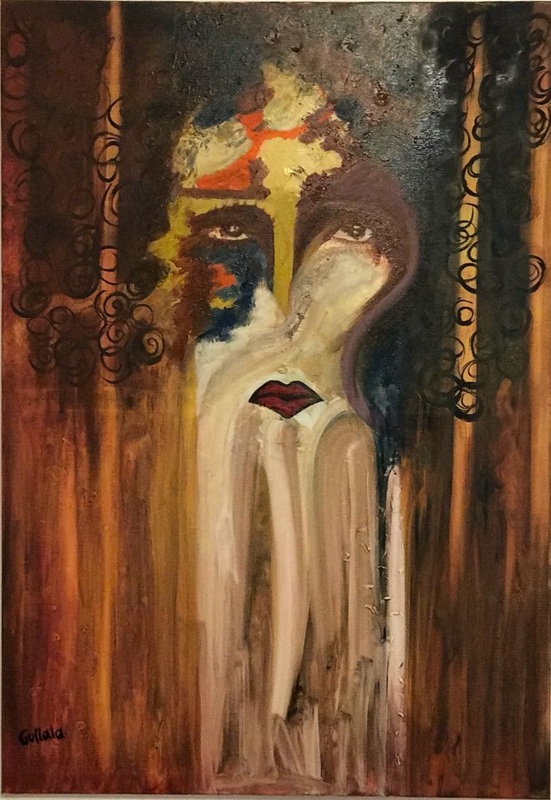 Posted in ART, FEATURE, PICTURES and tagged #Kurdish, #kurdish women, #Kurds, #Rojava, ART, artist, CULTURE, emerging artist, italy, kurdish woman, makeup art, makeup artist, mother, painting, parma, perlasor, women. Bookmark the permalink.